Alistair Spalding, the artistic director of Sadler’s Wells, was awarded an honorary doctorate by Middlesex University in recognition of his contribution to the UK’s creative industries, despite having little contact with leotards and legwarmers throughout his life. Spalding received his honorary doctorate in a ceremony at the university’s Hendon campus in north London on July 20 before an audience of graduating performing arts students who had all completed degrees in subjects such as Dance Performance, Theatre Arts and Music and Arts Management. In addition to his award from Middlesex University, Spalding was made a Commander of the Order of the British Empire in this year’s Birthday Honours, in recognition of his services to dance and huge contribution to the arts sector as a whole, be it tutus and tights, or jazz shoes and jazz pants. Embarking on his early career as a teacher, Spalding became Sadler’s Wells’ artistic director in 2004 as the UK’s leading dance house, as it came to be known under his direction. Sadler’s Wells has also recently ventured down the production route in its hosting of dance, with many shows now commissioned and produced at the venue. 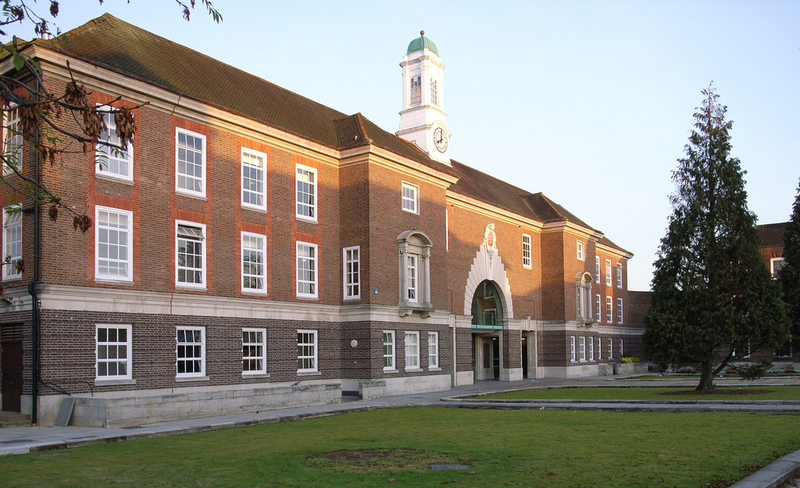 In terms of Middlesex University specifically, Spalding was noted to have said how much of a privilege it was to receive the doctorate from the institution as one that has done so much to ensure that practising artists are thoroughly involved in the day to day life of the university, which provides so much for them artistically, from a fantastic faculty to all-encompassing courses. The University delivers much in terms of Professional Practice also, preparing its students for the challenging world surrounding the arts, and providing them with the means to survive and consequently excel in the field. In July and August 2012, as in many years previously, The Place will present its annual two-week programme of dance courses for both young participants aged 6 to 16, and adults aged 16 and over of all abilities this summer. Whether your interest is the graceful beauty of ballet and you live to fulfil your dream of stepping into class in perfect pink ballet shoes, the toe-tapping energetic buzz of wearing jazz shoes, or whether it is actually heaven on earth to put on your leotard and leggings and engage in some thought-provoking and challenging Contact Improvisation, The Place will have something to suit you. Summer Shakers, over four days, is an annual programme of dance classes for young dancers, with this year’s theme surrounding “Victories and Losses”. Each group participating will work to create a sport-inspired dance, fusing energy, competition and power which are prevalent in both activities of sport and dance. Summer Intensives is the programme that will be led by a team of international dance teachers and companies, allowing participants to ‘create their own course’ from the extensive range of five-day options available including creative workshops, body conditioning techniques and repertory workshops with resident companies in addition to the above. 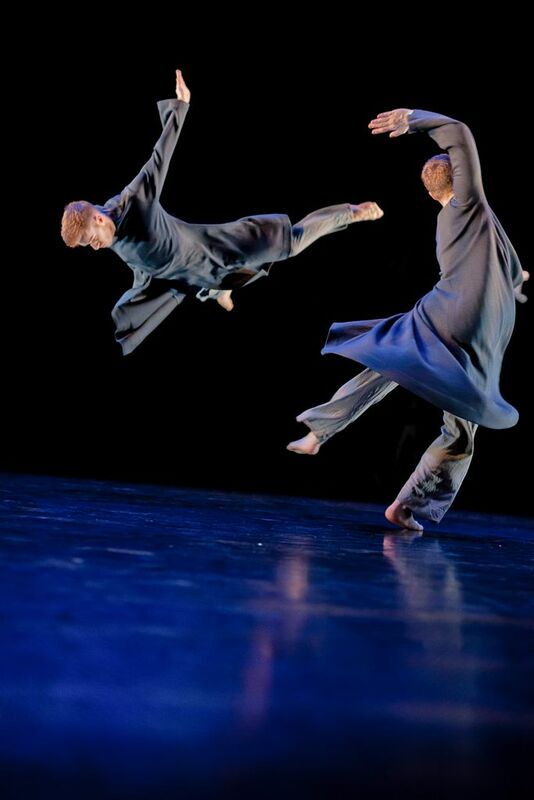 The companies involved this year are the BalletBoyz and the Jasmin Vardimon Company, two prestigious companies who individually have contributed much to today’s contemporary dance scene, and beyond into the dance sector as a whole. 2012 will see the addition of the traditional Japanese dance form, Butoh, taught by Marie-Gabrielle Rotie. This particular strand of the programme encourages structured improvisation, working with poetic images and scores in order for participants to create simple movement. For additional information, visit The Place. Image courtesy of The Place. Swan Lake as an iconic and perhaps one of the most ‘stereotypical’ traditional ballets of the arts world is showcased by many prestigious ballet companies each year. Complete with white pointe shoes and feathered head pieces, the twirling tutus of the numerous swans which grace stages all over the world are breathtaking. A company which engages with the staging of their version of Swan Lake each year is English National Ballet, renowned for its glamour and success, and notable for placing 60 swans on the stage of the Royal Albert Hall in June 2010. This was in addition to featuring the production in an episode of their notorious BBC documentary, Agony & Ecstasy: A Year at English National Ballet. From 3 – 11 August 2012 at the London Coliseum, ENB will perform its enchanting production during the London 2012 Olympic Games, choreographed by Derek Deane. The opening night will see Daria Klimentová present her experience and beauty, don her tights, and dance the lead role of Odette/Odile alongside Russian star Vadim Muntagirov as Siegfried in their internationally recognised star partnership. Arguably the most powerful ballet ever created, Swan Lake is set to Tchaikovsky’s unmistakable score, featuring some of the most beautiful music in classical ballet repertoire. Additional events from ENB highlight the extent of Swan Lake’s popularity and ultimate success amongst ballet lovers across the globe, regardless of whether they regularly wear leotards and ballet shoes. A masterclass with esteemed guest repetiteur and artistic advisor Maina Gielgud is included in the available itinerary, in which she will work with two dancers on a challenging pas de deux from Swan Lake. The ‘Swan Lake Aspire Day’ is also available, in which a fun and informal workshop focusing on Swan Lake will be held at the ENB studios. In addition, an on-stage creative workshop will include the opportunity to watch ENB’s dancers in their practice dancewear, taking part in morning class, as well as the unique chance to watch Company Class. 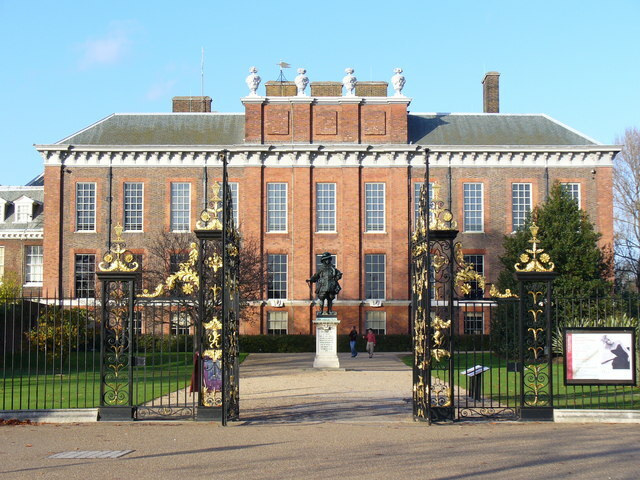 On 27 June 2012, English National Ballet together with Swarovski presented its Summer Party at The Orangery, Kensington Palace. With the Company’s prestigious tutus taking over one of London’s most beautiful outdoor settings, the evening held enchanted images of art, ballet and live performance inspired by the iconic production Swan Lake, ahead of English National Ballet’s season of the work at the London Coliseum from the 3-11 August 2012. 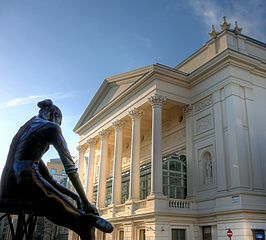 English National Ballet has a glamorous reputation for hosting sparkling events attended by numerous elite London partygoers as part of the Company’s fundraising initiative. For 2012, celebrated individuals were invited to create fantastic works of art inspired by the regal nature of swans. Previous guests have included Kate Moss, Richard E. Grant and Jerry Hall, swapping the usual pointe shoes of English National Ballet for party shoes and Pimms. The artwork produced is available to view online, and includes pieces by Kimberley Walsh, Beatrix Ong, Pixie Lott and Immodesty Blaize (you can see the full gallery here: ENB Summer Party Art Gallery) . Selected works were auctioned on the evening of The Summer Party by Lauren Laverne, with canvases still to be created to buy by Ronnie Wood, new Artistic Director of English National Ballet Tamara Rojo, Sam Taylor-Wood, Moschino and Swarovski. Some of the dancers of the Company donned their tights and feathered tutus to grace the exquisite party, with the whole Company proceeding to perform excerpts of Swan Lake in the gardens of the Palace. With the traditional yet both influential and elite production displayed for the guests’ entertainment, they also received goody bags containing luxury spa and hair care products, jewellery and handmade chocolates, contributing much to a greatly anticipated evening in the world of ballet and the tiaras within it. From the 9 to the 21 of July 2012, Sadler’s Wells will be hosting its Summer University, with fifteen young choreographers returning for the first programme of its kind in the UK, with the second year of the free course running throughout July. Directed by one of the most respected choreographers in Europe today, award-winning Jonathan Burrows, previously a dancer of Rambert Dance Company, Sadler’s Wells Summer University has given places to students from a vast range of dance styles, from pretty pointe shoes to New Yorkers, ranging in age from 25 to 37. With the programme aimed specifically at choreographers with up to five years professional experience, the four-year programme features a two-week intensive period every summer. This fantastic opportunity is a fortnight of intensive talks, lectures, discussions and workshops, with additional input from guest artists and speakers. The course focuses on compositional and choreographic processes, performance and philosophies, encouraging participants to question how dance can be made and what it might communicate to audiences. The programme is a long-term approach to choreographic study, designed for artists after their initial training, be it in a tutu or tap shoes, in the early stages of their careers. It is ambitious in its range of initiative as part of all that Sadler’s Wells offers to support and develop choreographers, with the Jerwood Charitable Foundation supporting the programme as part of the ongoing Jerwood Studio at Sadler’s Wells which began in 2006, to develop creative opportunities for dancers and choreographers to experiment at the start of a project, before being committed to a production. Over the years approximately 75% of these projects have gone on to be commissioned, produced or programmed by Sadler’s Wells, including Matthew Bourne, Clod Ensemble, Jasmin Vardimon, Pet Shop Boys and Javier de Frutos, puppeteer Sue Buckmaster and Arthur Pita, and Hofesh Shechter emphasising the prestigious nature of the programme. Image courtesy of David Hawgood at Geograph®. As part of Big Dance 2012, Sadler’s Wells is due to present the Big Youth Dance Weekend at the Scoop, More London, on the 7 and 8 of July. Marking the start of Big Dance week, the Big Youth Dance Weekend will celebrate youth dance across the capital, and will also welcome dance groups from further afield, encouraging even more young people to engage with dance, especially during such an iconic dance event for the UK. The Scoop is an open air “scooped out” ampitheatre next to The Greater London Authority’s City Hall. In collaboration with the Big Youth Dance Weekend, the performance opportunity which arises is a relaxed, informal event, with groups performing one after the other. Hosted by Hakeem Onibudo for Big Dance, his expertise in hip hop and street dance emphasises the sheer variety of dance styles available in the twenty-first century, with each one becoming popular in its own right. Both the spectacular rhythms of Latin and ballroom shoes and the speedy footwork of jazz shoes and leotards, alongside the urban dance moves of street crews make for a fantastic weekend. Now in its 7th year, the Big Youth Dance Weekend has transformed itself into an outdoor performance event not to be missed. The performance blocks which form the Big Youth Dance Weekend reflect the Big Dance Hubs which aim to welcome dance groups from every London borough to the unique event in order to celebrate Big Dance thoroughly. Both youth and school dance companies are eligible to apply to take part in the event of both primary and secondary school aged young people, with all dance styles welcome, be it the twirling tutus of ballet or the resounding taps of jazzy tap dance shoes. Each dance company will be allocated to a performance block which matches the group’s borough location, split into North, East, South East, South, West and Outside London. To apply, download the application information and form from the website and get your dancing shoes on! 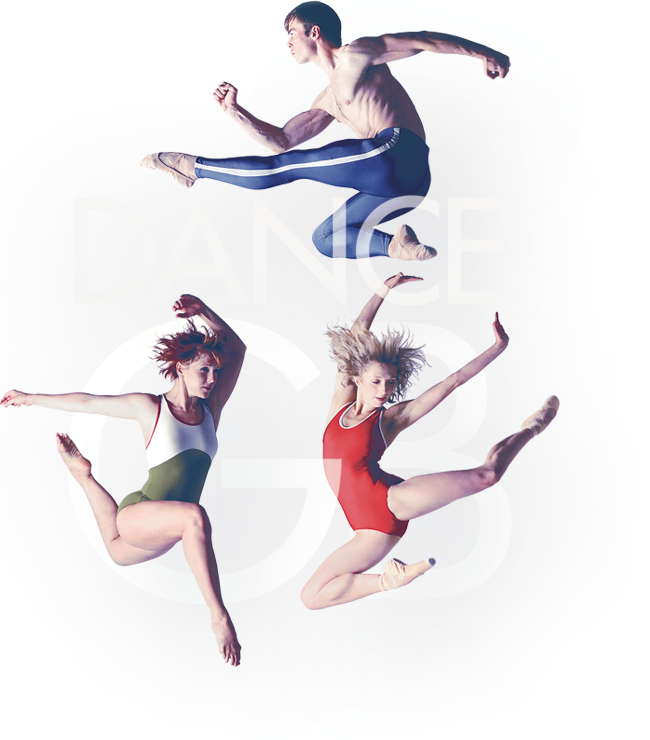 Dance GB, between the 4th and 8th July, has been branded as a ground-breaking national celebration of dance inspired by the London 2012 Games, showcasing the collaboration between Scottish Ballet, English National Ballet and National Dance Company Wales. As the UK’s three national dance companies, leotards and pointe shoes will be fused with dynamic dance quality for the first time in a thrilling programme featuring three specially commissioned works from leading contemporary choreographers: Christopher Bruce, Martin Lawrance and Itzik Galili. Performed in the grounds of the Old Royal Naval College, Greenwich, there will not be a tutu in sight, despite the piece being filled with technical brilliance, proving pink performance tights are not needed to create a show-stopping dance event. Dance GB will première in Glasgow before touring to Cardiff and London, including a live webcast from a special Company class featuring all three companies online at www.scottishballet.co.uk from 1.30pm on Friday 22 June. The class will be followed by a Q&A session with dancers from each company, offering dance and non-dance fans alike the chance to ask questions about the dancers’ training, being on tour, and life as a dancer. Scottish Ballet will dance Martin Lawrance’s Run For It, a high energy work which is said to be inspired by the power of Olympic athletes, tying in directly to the London Olympic Games. Extremely dynamic, the piece is set to the rhythms of John Adams’ Son of Chamber Symphony and features a sculptural installation created by Turner Prize-winning artist Martin Boyce. Christopher Bruce’s Dream features sly musical references to Jayne Torvill and Christopher Dean’s sensational 1984 Sarajevo Olympic win, a tribute to sporting bravado and a “tongue-in-cheek” celebration of the iconic event. This witty piece will be danced by National Dance Company Wales, linking the 2012 Olympics and the Queen’s Diamond Jubilee in a unique piece. The finale is provided by Itzik Galili’s And the Earth Shall Bear Again, danced by English National Ballet. Inspired by John Cage’s prepared music for piano, Galili’s piece turns Cage’s rich and versatile music into an accessible piece of extraordinary dance, inspired by the many “beginnings” of 2012. Screened with the performances is Dancing Parallel, an awe-inspiring film by Nic Sandiland featuring 60 dancers from London, Cardiff and Aberdeen on a journey through classical ballet, contemporary dance and parkour. 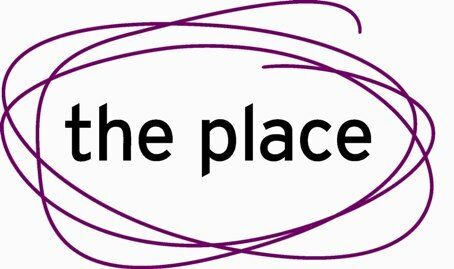 Each year, the UK’s contemporary dance house The Place announces its annual End of Year Season, in which graduating students from London Contemporary Dance School perform both a varied and excellent programme. This marks the completion of their training at one of the world’s leading conservatoires and inspires the next generation of dancers to harness their dance talents and hone their training. Image courtesy of Benedict Johnson Photography. Rather than a focus on pretty pink pointe shoes or the West End tap tones, the Robin Howard Dance Theatre is overrun each year with bare footed talent, sporting a range or dance clothing, which is generally thought to set the standard of contemporary dance throughout the rest of the country. The season includes In Performance: Postgraduate Alumni, which will feature the work created by MA Choreography Alumni, celebrating the work produced by the course over a period of 11 years, performed by London Contemporary Dance School’s alumni. Additionally, EDge, the postgraduate performance company of LCDS, will be presenting a repertoire that has been toured around Europe by the company’s 12 dancers since March 2012, including upcoming choreographer James Wilton’s Through Shards, and Avant Garde Dance’s Founder and Artistic Director Tony Adigun’s Unleashed, inspired by Richard Alston’s iconic Wildlife. The Graduation Performances will feature over 40 graduating students performing specially commissioned works by professional choreographers, including The Place’s Artistic Director Richard Alston. Alston has restaged his latest piece A Ceremony Of Carols, originally commissioned by The Marlowe Theatre in Canterbury and Sadler’s Wells. A selection of the students’ own choreography, chosen from the body of work created over the last year will also be featured to complete the programme. This represents the culmination of the graduates’ experiences at LCDS, completing their BA in Contemporary Dance and Postgraduate Diploma in Advanced Dance Studies. The diverse range of works demonstrates the breadth of their studies and the excellence of the performance demonstrates the sheer quality of their training. Flash Mob, a dance show starring acts from TV shows such as Got To Dance and So You Think You Can Dance is to debut at the Edinburgh Fringe Festival in August. Flash Mob will be a “public platform to create sensational routines” without the limitations that are so often encountered when choreographing dance on screen. Adapting choreography for a TV programme especially can limit the creativity of the artists involved, with the main focus being on the dancers, leg warmers and all, rather than the whole construction process from pulling on jazz shoes to the final production clad in outrageous costumes. However, Flash Mob implies that a piece based on ordinary people can produce extraordinary dancing. Often the winners and finalists from the dance programmes mentioned above – and plenty of others – are quickly nabbed for international tours supporting pop legends and West End productions. The focus of these is usually solely on ‘selling’ rather than the dance aesthetic itself which may run the risk of slowly fading, with artists losing the chance to dance in their own right and simply existing as ‘a name’. As a result, Flash Mob is a show that will give these artists the opportunity to choreograph their own individual routines for themselves, rather than filling someone else’s dance shoes, and becoming in the process the stars of their own show. The Flash Mob show will be directed by Gary Lloyd, artistic director and choreographer for Thriller Live and artistic director for Hair The Musical. Additional directors will include star hip hop dancers who have found fame on TV talent shows and films, such as Got To Dance 2011 finalists Alleviate. The show will run from 2nd-27th August 2012 at the Assembly Hall, Edinburgh.